Eipix Entertainment brings you the next heart-pounding chapter in the beloved Hidden Expedition series! 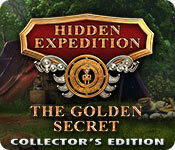 Hidden Expedition: The Golden Secret Collector's Edition is rated 3.7 out of 5 by 27. 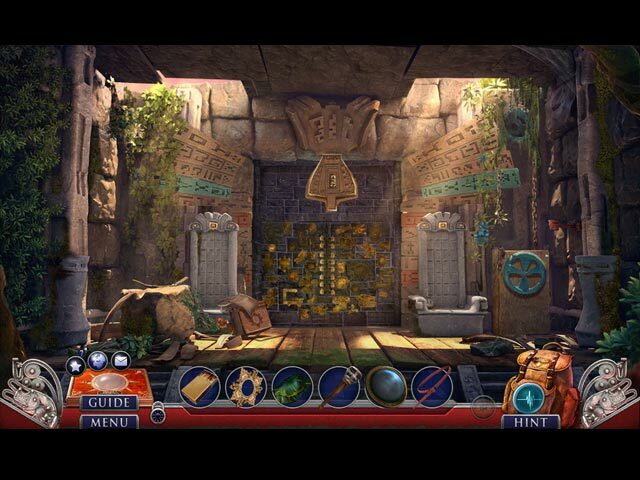 Rated 5 out of 5 by JocastaSilver from Heartpounding Adventure Delving into the Origin Story of HELP This was an exciting, enthralling game that explored the origins of H.E.L.P. and those origins were extremely fascinating. The VA was also good, although I'm not impressed that the antagonist is yet another rogue H.E.L.P. agent. That said, I was more focused on the origin story of H.E.L.P., which was very satisfying, plus the methods they utilized to reveal said origin story were interesting. The puzzles were a bit challenging, but I'm not much of a puzzle person, so take this with a grain of salt. My only question is when is Eipix going to have a game that sets in their home country of Serbia? Rated 5 out of 5 by andibeard from Solid addition to the Hidden Expedition family Confession: I love the Hidden Expedition games. I'm a science geek and museum nerd, so these appeal to me on a number of levels, not just for game-play! Though some of them are definitely stronger than others, I would say this is an overall strong addition to the series. First off, the graphics are amazing, possibly even moreso than usual for the HE series. I feel like their animations, voices, and music are all getting better and better. This game was also an excellent balance of puzzle/adventure and HO scenes, which are not too frequent and are varied in style. There also wasn't an overabundance of "fit the shaped object into the shaped hole" type puzzles to solve, yay! I think this might have been the first game I've played in years where no crowbar showed up, I didn't have to gather a recipe to stew something, I didn't have to work a blacksmith shop to create a metal object...wow! The game play itself was fairly creative. Some quibbles: Difficulty was not really challenging, in mini-games, HO scenes, or in finding the collectibles and morphing objects. The bonus Souvenir Room collectibles were way too easy--tip to the developers that we do like a little challenge (though not too much for relaxation!). The storyline also dragged in places--there wasn't a lot of action, unfortunately. But I felt like the positive qualities still made the game enjoyable, so I'm going with the full five stars. I would probably give 4.5 if that was an option, due to the minor weaknesses. If you want a stronger storyline and more challenge, play the demo first! Otherwise, if you like the rest of the HE games, you'll probably like this one. Rated 5 out of 5 by Lorijb from Another great game I have played everyone in this series, they have all been great games to play. Just love them Great job. Rated 5 out of 5 by sweetsavanah from Another Great Adventure. Just finished the whole game plus the Bonus Chapter and really enjoyed it. I totally love all the Hidden Expedition games and being part of the HELP team. If you like going on adventures and catching the bad guys I recommend you try this game along with the rest off the series.Keep them coming. Rated 5 out of 5 by CNew from Excellent Addition to the Series Really enjoyed the story and I always read the fact cards, so you learn something while having fun. Liked the new mini-games and the graphics are always of the highest quality. The level of challenge was just enough to be challenging yet doable. 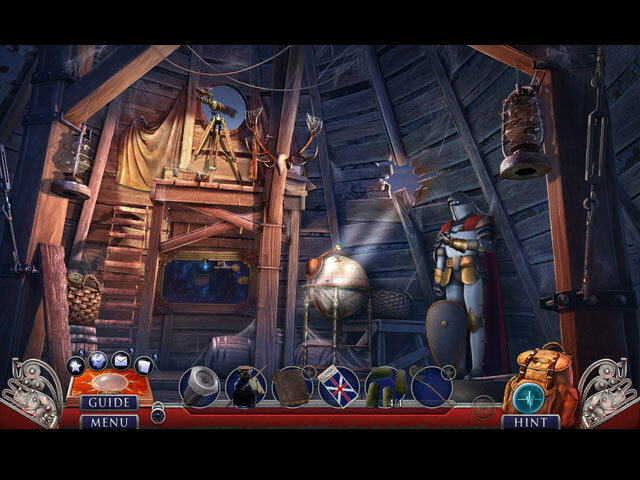 Also enjoyed the fact there were more hidden object games and different types. Played the main and bonus game. Rated 5 out of 5 by RPgames from Hidden Expedition's gold No Sam?? Have to say I miss him too. Other wise it is a good game. Seems like many of the newer games in any titles are getting shorter or maybe I'm getting a lot better. So far Hidden Expedition's are my favorite games . Hope to see more with Sam but maybe the voice actor is not interested in doing any. Rated 5 out of 5 by skullfun from HIDDEN EXPEDITION 14 MAY SPARK NEW INTEREST FOR FANS OF THE SERIES! I completed this outstanding adventure and I am proud to once again be a recruit of Hidden Expedition League of Preservation (H.E.L.P) where as before I wasn't so thrilled because I haven't enjoyed this series since Hidden Expedition Dawn of Prosperity (Editors Choice). Eipix has raised the bar for "The Golden Secret" which may satisfy the expectations for some fans of the series. Since this is the 16th edition to the series some may be burned out while others may find that this edition will once again spark enthusiasm for the series; you just never know until reviewers give a rating after completing the entire game beyond the demo. This is one of the best Hidden Expedition editions offered in the series to date and it is a heart-pounding chapter in this beloved series. H.E.L.P. HQ interrupts your ski vacation with an important request: travel to Geneva to purchase an ancient artifact called the "Golden Wheel" that could very well hold the secrets to H.E.L.P. 's long history. But it won't be easy. You'll have to be the winning bidder in a high-stakes auction. Fortunately, H.E.L.P. is footing the bill as you travel to incredible destinations in Switzerland, Germany, and El Dorado South America. The storyline is fantastic, full of surprises and well written by the developers. So many questions from previous editions are answered in this game. The only question left...Can you unlock the secrets of the mysterious Golden Wheel, or will H.E.L.P. 's origins be lost to time forever? You must play "The Golden Wheel" in order to reveal the unknown. I literally could not stop playing until the conclusion of this thrilling and engaging mission. This edition has a runtime at approximately 4 or 5 hours, with another hour for the bonus adventure. The CE bling is typically the same as in most CE games with some variation, so to include that in this review would be reductive. I do hope this edition will generate a renewed interest in this ongoing saga and that casual gamers who love adventures will enjoy playing this installment as much as I did. Cheers! Rated 5 out of 5 by pgillenw from Being a Fan of the Hidden Expedition!!!!! This new game addition to the series did not disappoint. 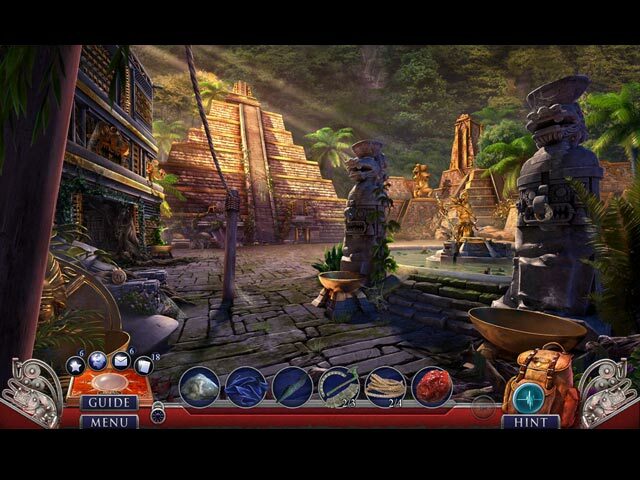 Rated 5 out of 5 by biscuitsmama from HOP ON FOR AN ENTERTAINING RIDE ACROSS THE GLOBE TO FIND THE GOLDEN SECRET In another Hidden Expedition game you are back as an agent of the HELP organization. Your holiday in Switzerland has been interrupted as you have been called upon by the agency to find a very special long-lost artifact that will point to the very origins of HELP. Start your journey at a Geneva auction house as you win the artifact only to have it wrenched from your hands. Now you are off on a globetrotting adventure as you seek to recover the treasure. After the disastrous EIPIX game earlier this week I had my doubts about even trying the demo for The Golden Secret but in the end it seems like all is not lost and this developer still has what it takes to present an excellent game. This is one of the most exciting HE games to be released in recent years and it is so much better than the last one, even though I did enjoy HE The Curse of Mithridates and can recommend that game as well. Although the HOPS and Puzzles are typical EIPIX I felt they were much better than those in some recent games. I happen to enjoy most of the HOPS from this developer even those where we must find items in the storybook type scenes. Some of the puzzles seemed to be a notch up from the last game and some even have a higher level of challenge. If you prefer the CE version of a game this one includes 14 HOPS, 17 Puzzles, 36 Fact Cards to find, as well as Morphing Objects, and Achievements to earn. The other extras include 9 Character Art, 8 Pictures or Wallpapers, 9 Videos, Music, a Souvenir Room, Bonus Chapter, and the Strategy Guide. In the end this game is so much fun and as I noted earlier one of the best HE games in recent years. I thoroughly enjoyed the game after the seemingly slow start at the auction house. Fortunately, the game picks up speed and my interest level rose with the action. It is good to see that EIPIX still has what it takes to create an interesting and enjoyable game. I purchased the game halfway through the demo and I am so happy to add the Golden Secret to my collection. There has only been one other game since the year began that I found really worthwhile and hopefully the trend will continue with CE games bringing a bit more to the table. Even though I find this a fun and entertaining game, please try the demo to see if this is one you will enjoy. Happy gaming!